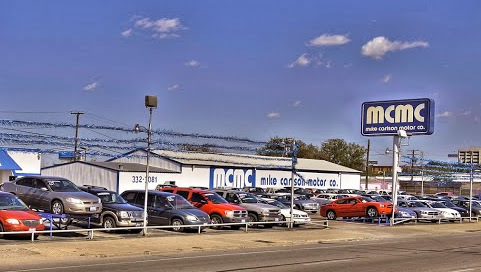 In 1968, Mike Carlson Sr. began what would eventually become Texas’ largest independent family-owned car dealership. At the time, his goals were much loftier than what might have been reflected in the original inventory of only three vehicles and a tiny lot. Mike was committed to providing dependable transportation to North Texas residents who had less than perfect credit history. Today, MCMC is still family-owned and operated, and that family-driven attitude is carried through the employees straight to our customers. After 40 years, we’re proud to say that we have served generations of other families. Families continue to shop MCMC for quality vehicles at affordable prices, regardless of their credit situation. 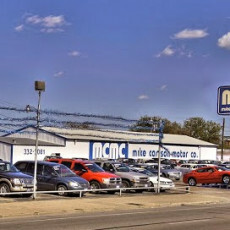 We invite you to stop in any of our 8 locations and see why MCMC has so many satisfied customers. We’ll be right here when you need a car.